Which factors will dampen oil demand in 2019? 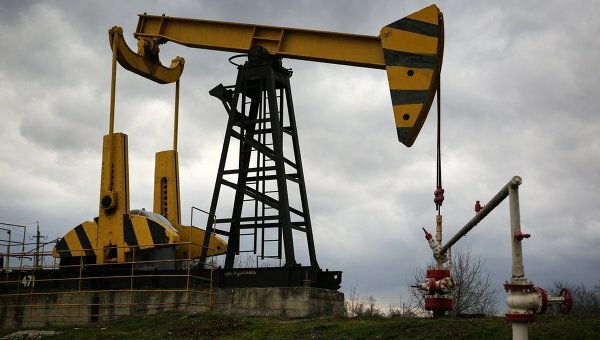 Oil demand growth is expected to continue in 2019 at a reduced rate, Trend reports citing Fitch Solutions Macro Research (a unit of Fitch Group). "The global economy is slowing, with our economists forecasting a deceleration in real GDP growth from 3.4 percent in 2018, to 3 percent in 2019. In the main, this is being dragged down by developed markets (DMs ), where tighter monetary conditions, ongoing trade tensions, waning fiscal stimulus in the US and heightened political tensions in the EU are clouding the outlook," said the report. The company believes that this will dampen the global demand for oil and it forecasts a marginal slowdown in growth, from 1.4 percent in 2018, to 1.3 percent, with emerging markets (EMs) carrying the load. DM demand has been abnormally strong in recent years, lifted by lower oil prices and stronger economic activity in the US and, to a lesser extent, the Eurozone, according to the report. "This trend is not sustainable and over the coming years, softening GDP growth, tighter environmental regulations, improved fuel efficiency and a switch away from oil will see demand growth decelerate and ultimately decline. The trend has already reversed in Europe, but US demand remains robust heading into the year." The EM outlook is brighter and Fitch Solutions forecasts the differential between EM and DM demand growth – which became heavily compressed from 20 14 – to widen again in 2019. "Commodity exporters, which were badly hit as oil and other commodities s lumped, are staging a recovery, as economies s lowly mend, fiscal strains begin to ease and confidence grows. In volume terms, China and India will remain the dominant drivers of global demand growth. Chinese oil demand has come under significant pressure in recent years. The economy has slowed, at first the result of deleveraging efforts by the government and more recently compounded by the fallout from its trade disputes with the US. In addition, Beijing is pushing to reduce the role of oil in China’s overall energy mix. Additional stimulus measures, though, should help stabilize growth in 2019 and Q418 data point to a generally healthier demand picture."